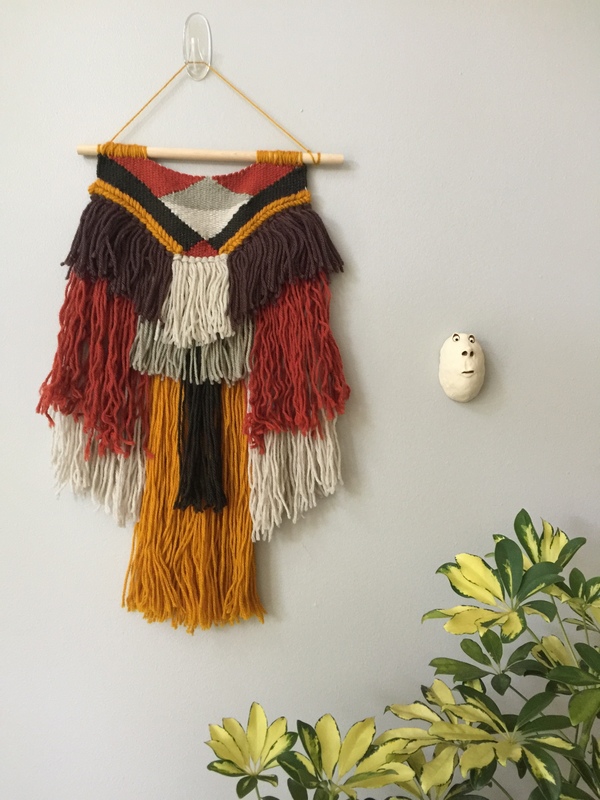 For holiday shopping — most gift shopping throughout the year, really — our team likes to keep tabs on local makers markets, so we can focus on handmade/locally made goods. This way, we give our loved ones something special and unique, and support our neighbors at the same time. 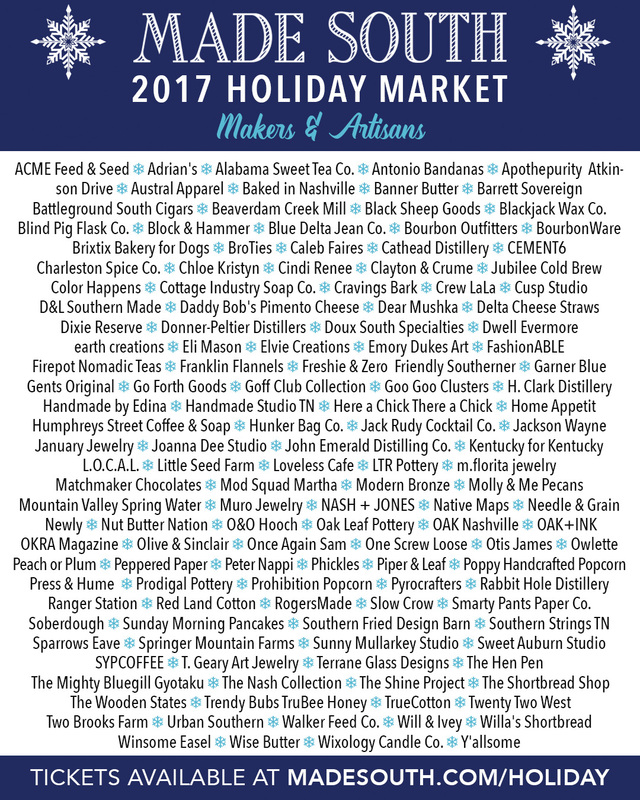 Among our favorite local/annual winter markets: the Made South Holiday Market, coming up again on Friday and Saturday, Nov. 17-18, at the Factory at Franklin. The Made South Holiday Market is a quintessentially local affair: The company that produces it is a family-run startup, helmed by fourth-generation Tennessean Christopher H. Thomas, and its annual crop of artisans and makers is always stocked with talented Southerners, significantly with talented Tennesseans. Strolling through booths at Made South, you’ll easily find options for just about anyone in your life, all of them coming from local/regional hands. As with past years, you’ll have two options to shop at Made South in 2017: a Friday night VIP party, and Saturday all-day shopping event. At Friday’s VIP event, from 5 to 9 p.m., you’ll get first crack at the makers’ wares, plus you can grab some free drinks, take part in local food and distillery tastings, and snag a Made South tote bag. (A VIP wristband for Saturday shopping is included too.) Advance tickets are available online for $39. On Saturday from 9 a.m. to 5 p.m., along with the shopping, there are food and distillery tastings, live music and more, and the first 2,000 guests get a Made South tote bag. Advance tickets are $15; day-of tickets run $20. The whole event is family-friendly and rain or shine (children under 12 get in free), though, obviously, anything distillery/cocktail-related is 21 and up. Lots more info at madesouth.com, and up top, there’s a video that gives a deeper look into the how, what and why behind Made South. Hope to see you there. If you’re not diving into holiday shopping quite yet, but househunting is on your Christmas list, we’d love to help. Reach ACRE here, or for an easy way to start looking for your new Nashville-area home, fill in this quick form.